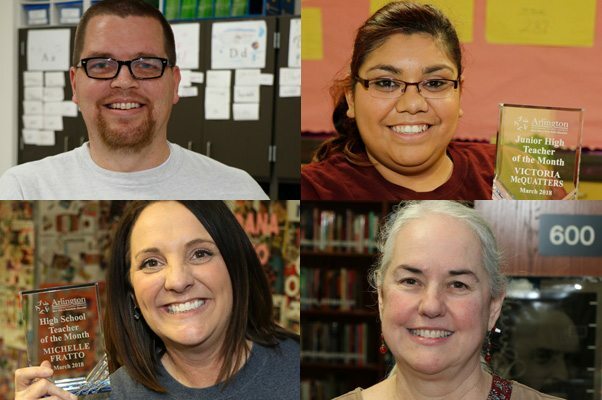 Congratulations to our March 2018 Teachers and Department Employee of the Month for the Arlington ISD! Superintendent Dr. Marcelo Cavazos recently honored Ryan Trowbridge from Peach Elementary, Victoria McQuatters from Workman Junior High, Michelle Fratto from Martin High School, and Brenda Gorman from library services and Seguin High School. We are proud of the work you do everyday to inspire our students! Thank you for all of your hard work!